Because I'm perfectly normal, I decided I absolutely could not live another day without making these suckers for my dogs. I actually saw something like this (I have no idea what the shop calls them) last June at a gourmet dog shop in MN.....actually, I saw a bunch of things I plan on trying via my road trip...but this is where I'll start. My dogs needed to bake a snack for a dog friend who just had puppy surgery. Don't your dogs always bring get well gifts to their dog friends? I also think these would be really cute for puppy party favors, but I'm not actually going to admit to such a plan....today. I bought little rawhide chew sticks for the 'stick' part of the sucker, I used the same recipe for the 'cookie' part that I used a few months back to bake dog biscuits (a full recipe with a 2 inch, round cookie cutter should make about 16 of these suckers), and I used left over white chocolate to decorate the cookies. I rolled out my 'cookie dough' to a pretty thick consistency (at least 1/4 inch, so I could slide the stick inside). I baked the cookies, and as soon as they came out of the oven, I slide the rawhide sticks inside. They went in really smoothly. The top of the cookie bubbled up a little bit on some of the cookies where the stick slid in, but the white chocolate later went over those small cracks, AND hardened into place to make this cookie really stable on the rawhide stick. When I melted my white chocolate (for icing) I didn't heat it as long as I would have if I were going to dip strawberries or something in it. I just heated it until it was starting to get smooth....about 40 seconds. I used a knife to 'spread it,' and it wasn't so soft that it ran off the side of the cookie. You could dip the whole cookie in white chocolate and eliminate this concern, but I was conserving chocolate. I then melted white chocolate, dyed yellow, inside a ziplock for about the same amount of time. I squished the morsels together when it was done heating, snipped off the end of the ziplock, and piped on my design. Peanut is on a diet, he got less chocolate....I'm sure that helped. P.s. I promise Peanut has had a pedicure since this point. Uh oh! I feel a Boris and Lucy treat coming on :) These are adorable! ps. 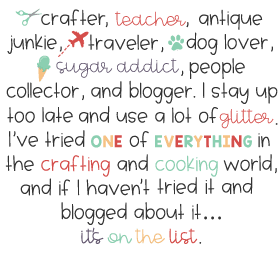 I found you on It's fun to Craft's Friday link party! Too Cute! Perfect treat for furry friends. OH!!! I heart your puppies and that you make them treats! 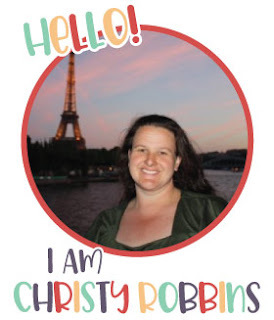 I hope you'll stop by my First Pretty Packages Party and share some of your fabulous talent! Just pick up a button for an easy reminder! OMG, he looks sooooo happy!! love it. I just LOVE these! Thank you so much for sharing them at the Pretty Packages Party! I am stoppping by from the prettiest packages party, which I found by way of the Rooster party, but what a lovely thing to find treats for a puppy party. I featured your pupckers today! Grab a button if you like!